Be sure to update your life insurance Beneficiary Form! 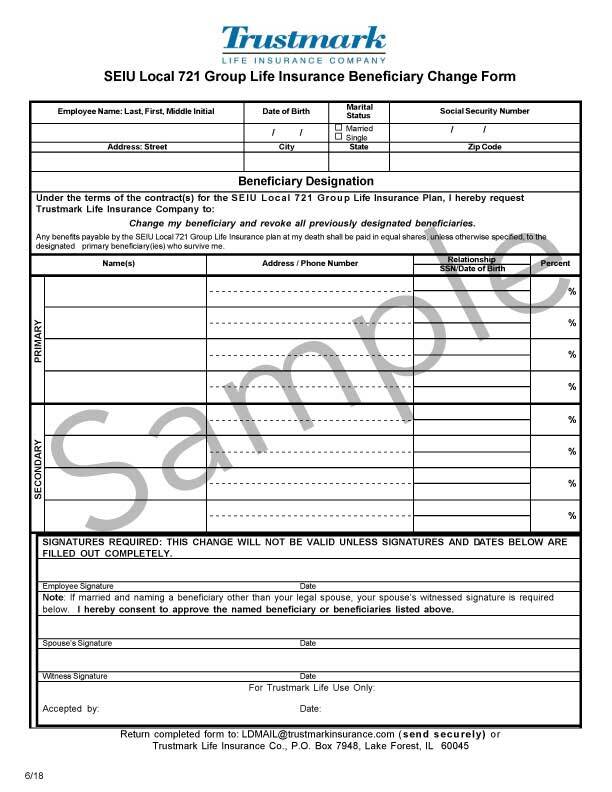 Below is a sample of what the form looks like. You should be receiving one in the mail shortly if you haven’t already. As you may or may not be aware, in an effort to offer our members the highest quality of service, SEIU 721 has hired an experienced administrator – Zenith American Solutions – to handle beneficiary benefits. So we are asking all SEIU 721 members to provide Zenith with a new, completed Beneficiary Form. 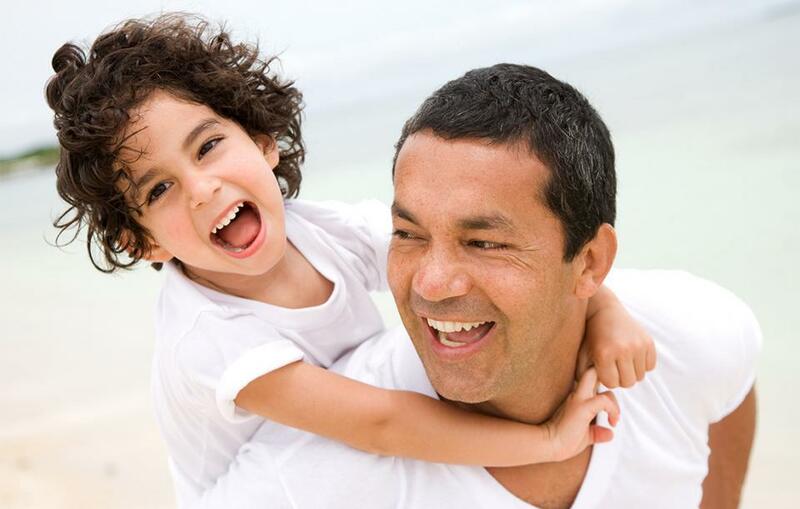 Our goal is to ensure that everybody’s beneficiary information is accurate and up-to-date. So once you receive the Beneficiary Form, please fill it out and return it to Zenith as soon as you can. If you have questions about the Beneficiary Form, call (855) 752-9622 and press “1.” If you have any questions regarding filing a claim for this benefit, call the same phone number press “2.” If you have any other questions regarding this benefit, call the same phone number Monday through Friday between 9 A.M. and 4:45 P.M. and ask for a Zenith Service Representative. We here at SEIU 721 cannot send you a new form, unfortunately. That is because the Beneficiary Form each member received in the mail has a code on it that is specific to that member. So if you have lost or misplaced your Beneficiary Form, contact Zenith so they can mail you a new one. They will send you a form that is specific to you. But at SEIU 721, we do not have access to these forms so we cannot send you one. Hope this helps. How do I download a copy of this? It’s not downloadable, unfortunately. That is because the Beneficiary Form each member received in the mail has a code on it that is specific to that member. If you lose or misplace your Beneficiary Form, call Zenith to get a new one. They will send one specific to you. My name is Vera Spinks-Hall and I am an employee with the Department of Children and Family Services in Pomona. Please mail a beneficiary form to my home as I am having difficulty downloading the form for your website. My address is 12351 Marshall Ave. #50, Chino, CA 91710. Thanking you inadvance for your assistance. The reason you can’t download the form from our website is because each member received their own personalized Beneficiary Form in the mail. Your form has a code specific to you. Check for your form in the mail. If you misplaced it or just, for some reason, never receive it then please call Zenith directly to get a new one. We here at SEIU 721 do not have access to your form. But Zenith does.